Welcome to River Trails Dentistry! As part of our dental family, we provide you with a warm, welcoming environment and high quality, comprehensive care. 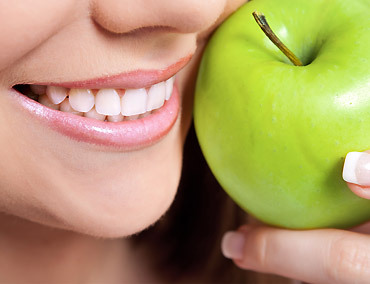 Our goal is to send every one of our patients home with a healthy, beautiful smile. When we say we’re a family dentist, we mean it. We treat patients of all ages at our office, so whether your little one just got his first tooth, your teen needs her first sports mouthguard, your spouse needs a root canal, or you want to get your teeth whitened, we can take care of you. Empowering Patients We truly believe that our patients are our most valuable assets. We strive to empower you, the patient, to make well-informed decisions about your oral health through individual consultation. Our job will be to diagnose and present the possible treatment options to you and help you make the choices that will be in your best interest. Your budget is important to your family, and we do everything we can to respect that. We want your visits to be efficient and gentle, with fees that are fair for the very services with which we provide you. We accept most PPO insurance plans, and will help you file and track your claim so you get the most out of your benefits. We are always accepting new patients! Our goal at our dental office is for all of our patients to receive the highest quality of care in a professional and welcoming environment. Traditional x-rays can expose patients to unnecessary radiation, which is why our practice uses digital x-rays for faster, safer results. Digital X-rays use 80% less radiation than film X-rays and the high quality images help us detect very small cavities. The X-rays may be reviewed immediately on a computer monitor and allow us to show our patients any problematic areas, helping them understand any problem areas that require attention. Since digital X-rays don’t require chemicals as film X-rays do, they are also much easier on the environment. Intraoral cameras are tiny handheld video cameras that project an enlarged image of the inside of your mouth onto a computer screen. This allows our patients to see what we see. We use the intraoral camera as an exam, treatment planning and educational tool for our patients. Panoramic X-rays capture detailed, panoramic views of your mouth. This provides us with a detailed, high-quality image of the entire mouth that allows us to view parts of your jaw that can’t be seen with traditional dental X-rays. Panoramic X-rays are often used to evaluate jaw joint problems and plan orthodontic treatment, dentures and implants. 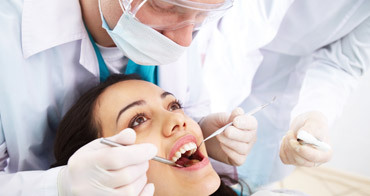 We are committed to the highest level of quality dentistry in our offices. We are OSHA and HIPAA compliant and take special care to update our standards in keeping with evolving guidelines every year.